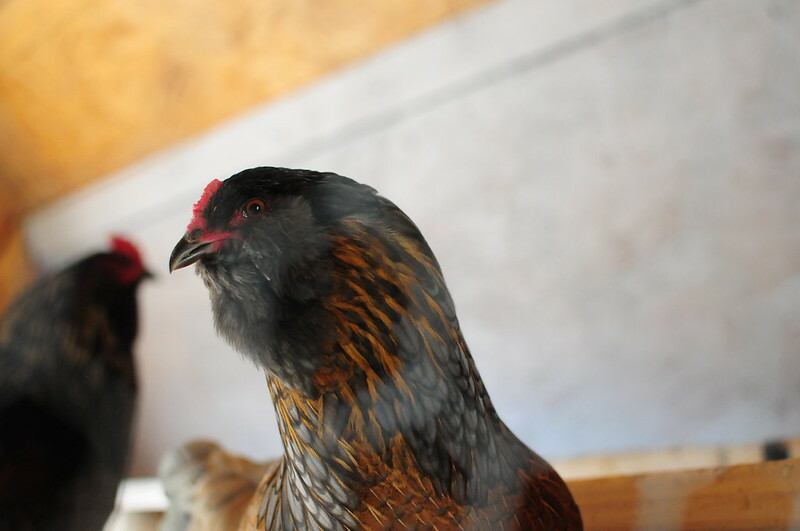 If you follow us on facebook at all you already know that we’d been having trouble with the coyotes stealing our chickens. Last year we lost 8 of our original flock to various things, some of which was our own dogs. Not good. This year it’s been coyotes! And man alive have they gotten bold. I see the chicken feathers right outside our fenced yard! And the last straw was when I looked out our front window and a coyote was not 25 ft from our front door looking for dinner! Our flock of 29 had been depleted to 14! Two of which are Roos. 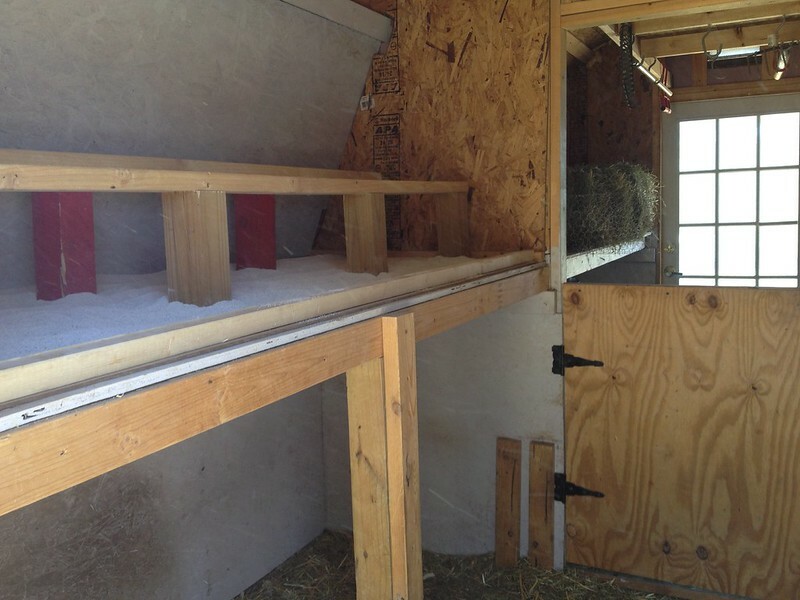 I know a lot of people like to baby their chickens and they all have names, and they keep them in very nice runs with hardware cloth buried to keep rodents out and no way for predators to get at them from above, and I think that’s fantastic for a backyard farmer. Necessary even. With what we are trying to do here, it wasn’t going to work. We wanted free range chickens. But we don’t want free coyote food! Because in all honesty raising a chick till it’s old enough to lay eggs is pretty expensive. All of that to say we made the decision to put the chickens in the LRB for the time being until we can get a coop built for them up there. And since the ultimate plan is to have them in that fenced space with the goats it’ll all work out ok. The first thing I did in the LRB was move everything to the smaller shelf and wire it off because we don’t want chicks up there. Then I build roosts and put in a lip on the bigger shelf and poured Sweet PDZ all over it to collect the poo. 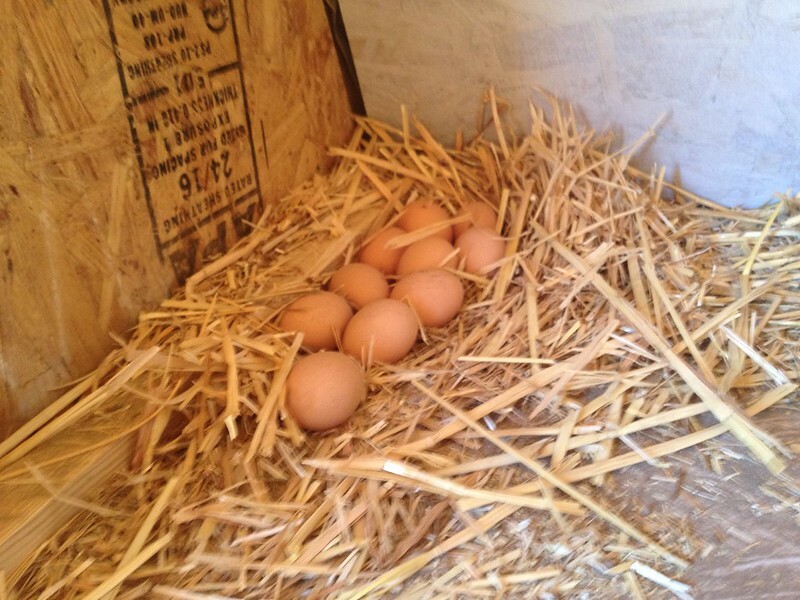 Oh and an interesting thing I came across while moving straw from the shelf was a clutch of 10 brown eggs! We only have one brown egg layer left and I hadn’t found an egg from her in awhile so I knew she was finding a new place to lay. 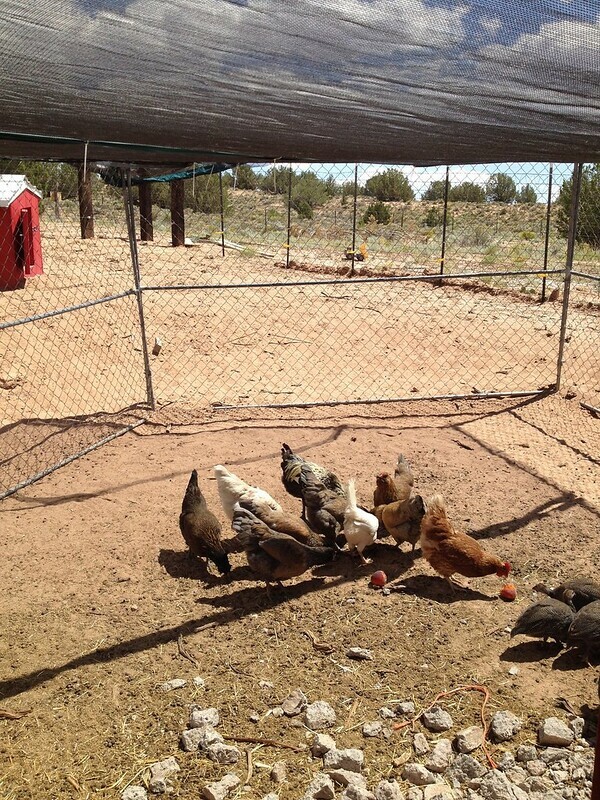 The poor chickens were scared to go to their coop to lay eggs because of the coyotes. That makes me sad. But I was happy to know that she’d been able to get in and out of the barn safely multiple times without being bothered by Thor! 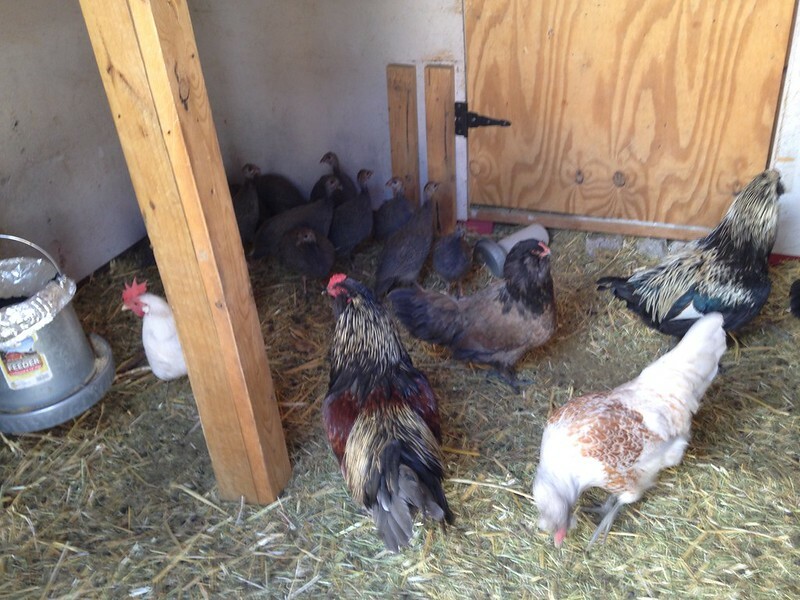 I wired off all of the spaces that I didn’t want chickens to invade, like the milking area. 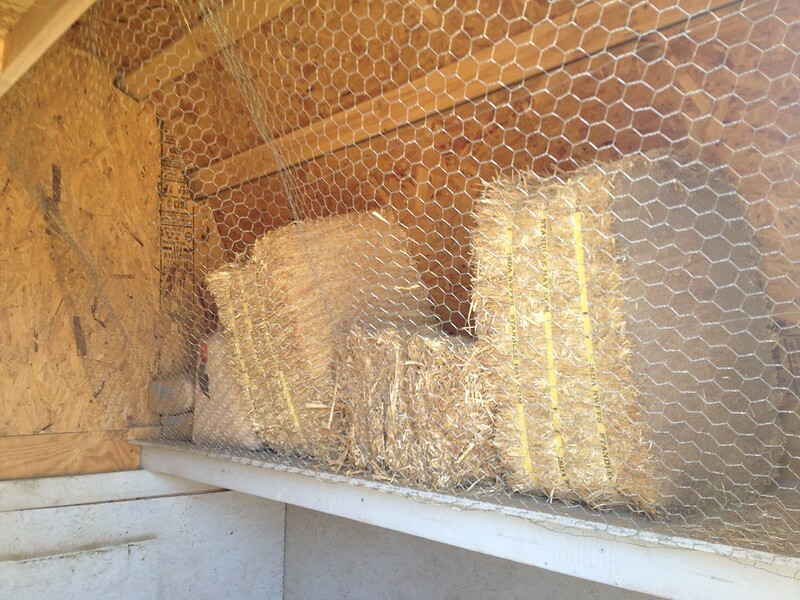 One night after they’d all gone to bed (except the Leghorn who decided to roost on the carport) I went to the coop and one by one loaded the sleepy chickens into a crate in the truck and then again one by one put them on the new perches in the LRB. Here they are checking out the new digs! And then I chopped up the old net from the trampoline and used it to cover the top and keep birds from flying out. They’ve totally accepted the LRB as home and I’m sure wouldn’t even remember the old place. 😉 They’ll be moving again soon to the actual coop so that the goats can re-inhabit the barn, and since it’s getting cold again, that’s a good thing for them! One day we’ll be done shuffling around critters. 😉 But not today!